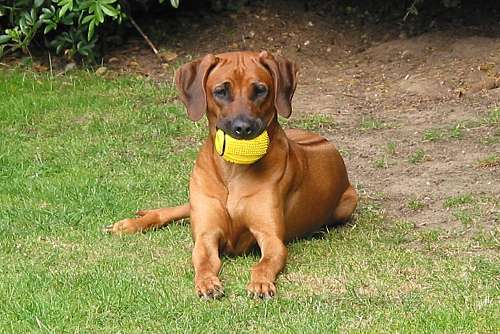 Lotti was bred by Sue Campbell and Charlie Wheeler of Nyassa Rhodesian Ridgebacks. 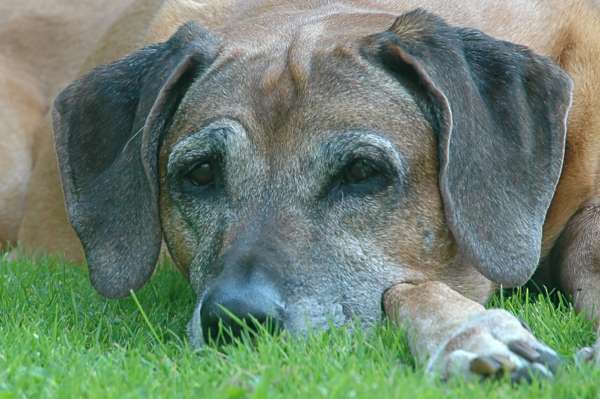 She qualified for Crufts in Both 2002 and 2003, while making the cut in her class in both years unfortunately hasn't been placed. Somewhat like her dam, Lotti isn't a great fan of the show ring. While she enjoys the day out she would much prefer to be in the Circus Ring!! She has a beautiful character is always full of fun and appears to love every minute. She will play with people, the other dogs or on her own and generally keeps us in stitches with her antics. Never a dull moment with "Madam" around, who for a few more months will still be the baby of the family, until Maestro arrives.